This iconic hidden gem floating on the shimmering horizon of Biscayne Bay and just off the coast of the majestic Miami skyline, recalls a nostalgic era from the city’s notorious and at times, illicit past. Once a mecca for Prohibition era gangsters and “rumrunners”, by the 1940’s Stiltsville had established invite-only clubs and gentlemen’s establishments that quickly became a popular playground for Miami’s affluent and connected. Stiltsville in the 1940′ – 60’s found invite-only clubs like the Calvert and Quarterdeck clubs catering to Miami’s elite and politically connected. The Calvert Club quickly became a major destination for jet-setters visiting Miami. 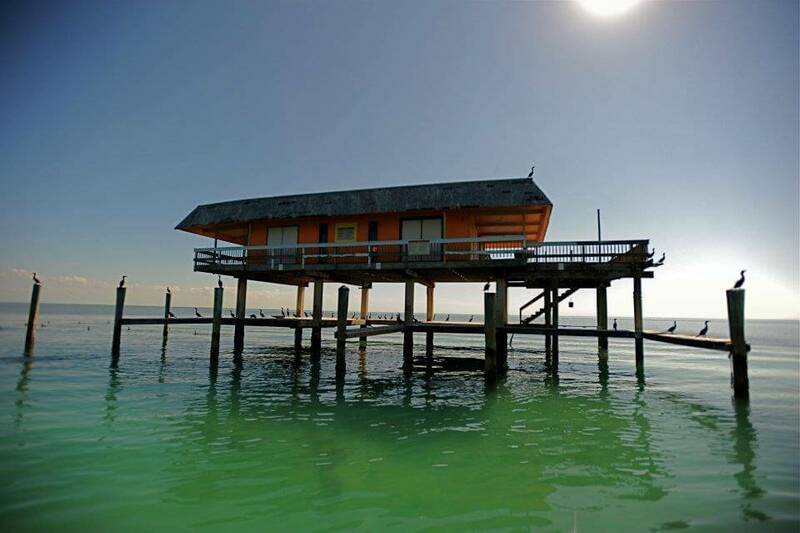 Stiltsville is only accessible by boat thus you will need a Miami boat tour company to access it. 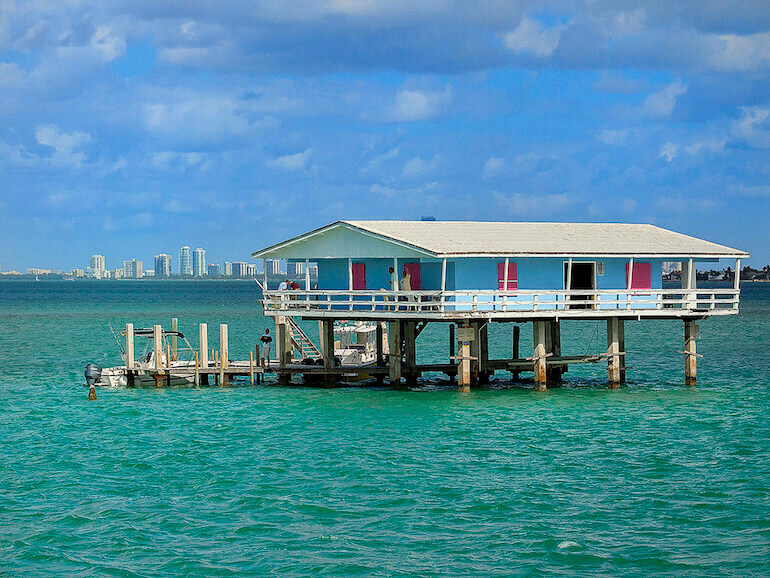 The colorful houses sit 1.5 miles from the shoreline in the shallow waters of the bay and within Biscayne National Park. Boat tour companies must be licensed with the park to take visitors for historical boat tours. Ocean Force Adventures offers daily guided small group historical tours to explore Stiltsville. The company is an authorized commercial use operator for Biscayne National Park and Stiltsville. The 2-hour sightseeing boat tours depart three times a day from the Miami Beach Marina on South Beach. With only 6 passengers per boat, this is a very personalized sightseeing experience enabling guides to spend quality time in Stiltsville discussing its colorful past and getting up close to houses for those interested in photography. Tours must be reserved in advance. History Miami conducts large group boat tours to Stiltsville approximately 4 times per year guided by local historian Paul George. Advance reservations are required. To see a schedule visit HistoryMiami.org. or call (305) 375-1492. Biscayne National Park will provide permits to access Stiltsville houses for a fee ($1,000 minimum). Access is limited to certain usages and permits can be obtained by contacting Stiltsville Trust or Bicscayne National Park.